Home What is the payback on energy efficient windows and doors? What is the payback on energy efficient windows and doors? Gary Warby, Director Premier Windows, explains how new energy efficient windows and doors could pay for themselves in only a few years. For most of us new energy efficient windows and doors represent a significant purchase. Where they differ is that over their lifetime, energy efficient windows and doors can pay for themselves by reducing the cost of heating your home. Too good to be true? Well yes and no! The Green Deal flopped because of a mixture of politics and governmental bureaucracy but the principles were right and that’s the important bit. Energy efficient windows and doors, like cavity wall and loft insulation, will pay for themselves over their lifetime in savings on energy bills – they’ll also make your home more secure and can help to define the character of your property. How much will energy efficient windows and doors save me on my heating bills? This is not quite a million dollar question but savings can add up to their thousands over the lifetime of new energy saving windows and doors. The savings you make will be defined by the specification of windows and doors that you choose and the price of energy at any given time. This second point is clearly variable but trend analysis suggests that it remains on an upward trajectory. Figures released by the Energy Saving Trust old single-glazed and even older double-glazed windows account for around 25 per cent of heat lost from homes. It estimates that energy saving PVC double glazed windows and doors can cut this heat loss by up to 75 per cent. In a detached three-bedroom home, according to the Energy Saving Trust, this can equate to an annual saving over and above single – and in many cases, older double-glazed windows – of up to £160 a year in heating bills. The annual savings could be even higher where triple-glazed units are installed. What is best, double or triple-glazed windows? This raises another question, should you choose double or triple-glazed windows and doors? 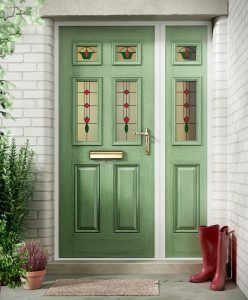 There’s no question about it – energy saving triple glazed windows and doors perform better than energy saving double-glazed windows and doors. They’ll achieve U-values (the measure of heat loss) as low as 0.8W/m².K compared to round 1.2W/m².K on the best double glazed windows. But – and there is a ‘but’ – they cost more. They use a third more glass and are heavier and therefore more complicated to manufacture and to fit. This means that payback, although ultimately saving more energy, will be longer. At 1.2W/m².K or Window Energy Rated A+ rating, you’re getting a highly energy efficient window but without the premium price paid for triple-glazing. Energy efficient double glazed windows and doors [hyperlink as relevant], deliver great performance and unless you’re working on a Grand Designs-type or Passivhaus project with floor to ceiling glazing, will do the job and more. We work with our customers to model heat loss and to develop a solution that’s right for their individual requirements and the construct of their property.